This open letter to the Minister of Tourism, Derek Hanekom, is written on behalf of the Cradock Tourism Action Group (Cratag), in the wake of an intended visit to the town by the minister having fallen through. We were due to welcome you in our town on Friday, 1 June and sadly we were not able to do that. Unfortunately, it all came down to lunch. Let me explain that. 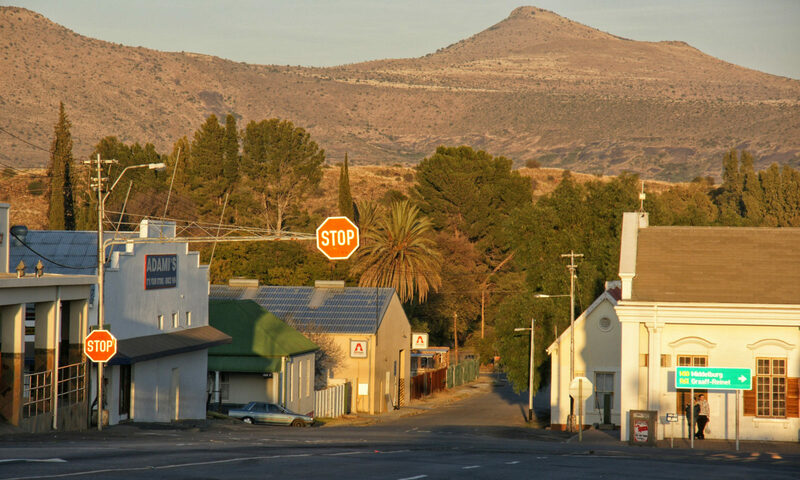 Our town is unique, it is the home of the Cradock Four where the seeds of the final push in the Struggle against apartheid took root. We have a monument, as you know, that welcomes us all home when we return here – four tall, strong pillars that are not only symbols of our town, in the same way as Table Mountain, the Union Buildings, wheat silos and the countless war memorials around the country – but celebrate the icons of the Struggle, four of them in particular and all of them in the larger sense. It makes us proud. Matthew Goniwe, Fort Calata, Sparrow Mkhonto and Sicelo Mhlauli grew up here. They took their strength from this land. They were not the only ones who gave their lives for freedom and democracy but history has a way of singling out heroes, icons, and they were the chosen. The very nature of their story is moving – quite simply they were teachers and men of intellect who set off for a political meeting and never come back. Their bodies were found, mutilated, dumped, symbols of the disrespect and anger of a regime that was losing its grip. We heard that, felt that, around the country. They are heroes of this nation, they belong to us all. And you were about to come here and hand the Garden of Remembrance, the four great pillars, back to the local municipality. But it all fell apart over lunch. Our municipality has just been voted the worst in the Eastern Cape, a province that does not enjoy a great history of governance. So that puts us, quite frankly, at the back end of nowhere. So it is not surprising that our town’s leaders – can we seriously call them that? – would start squabbling and moaning, quite frankly desperately electioneering – over what was meant to be a celebration, bringing our heroes back to our town. All they had to do was welcome you. But they felt not enough people were invited to lunch. They wanted a big bunfight at which they could speak for too long and win votes. They want to give people a feast, hand out politically branded T-shirts and yes, electioneer. They cannot see the long-term solution – which is to give the people prosperity which they can create by themselves, which will make them proud. We know that the council kept wanting to push your visit, the handover, back to sneak closer to election year, 2019. It is strategy, not governance. So they spoke of not having enough time to consult with stakeholders – that dreadful word that speaks only of too many cooks fiddling with the broth. They talked about consultation, finances, too many VIPs, too few civilians. In fact if they could handle consultation and finances, we would not be tripping over potholes, sitting in the dark at night because the town’s electricity supply is off, collecting water in bottles because the bountiful water we have here – from the Fish River that runs through us and the beautiful rains we have enjoyed – can’t reach us because the infrastructure is in disrepair. We need you here, Minister. We join a long list of South African towns that have fallen into despair because of bad management, where people still wait for basic housing and children are hungry. Altruistic governance is the enemy of prosperity. Tourism is money. You know this. If we attract people to our town – and we have a brilliant tourism plan that this town paid for, but that the municipality will not or cannot activate (see here) – we can provide jobs, the coffers will swell, people will thrive. We have unique flora and fauna here, fresh Karoo air, space in which to adventure and enjoy sport and recreation. Don’t let this, or any other municipality, blind you over consultation with the irrelevant.